Human eyesight has evolved over millions of years, giving us a range of vision that enables us to survive, prosper, and enjoy life. Yet we are not the only ones who occupy this planet – many animal species have been here longer than human beings. 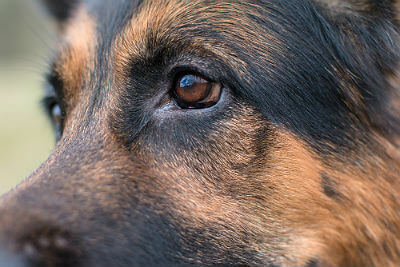 This begs the question… how does animal eyesight compare to our own? We thought it would be fun to compare the visual abilities of humans and animals to discover the similarities we share and also our distinct differences. As humans, we are very lucky. We have three types of cone cells, with each having the ability to decipher between around 100 different colour shades. This gives us colour vision that is superior to most other mammals. The reason we need such good colour vision is uncertain, but most people agree that it is probably because of food identification or the need to read people’s emotions (think red coloured face flushing and embarrassment/anger). Other theories suggest that the necessity to detect and avoid snakes contributed to its development! Our eyes are protected in a hollow socket, unlike some other animals. Our eyeballs stay the same size throughout our lifespan. Most of our learning is achieved through our eyes. Perfect eyesight for a human is classed as 20/20 vision. While we may have some of the best all-round visual abilities, other species have their own unique features. Man’s best friend is one of the few animals who can read human facial emotions, suggesting that they have lived alongside us for a very long time. However, in contrast to humans, they have inferior colour vision, with only two sets of colour cones. This means that they cannot distinguish red from green (they see grey instead). As their eyes are positioned wider on their faces, they have a greater field of vision, which is especially useful for hunting. Their night vision is also superior, but the actual quality of vision is not. As opposed to our 20/20 eyesight, a dog’s is in the region of 20/75, meaning that they see in less detail. If you want to know exactly what the World looks like to a dog, take a look at the online dog vision app. As one of the most deadly predators in the ocean, sharks are fascinating creatures with some intriguing visual abilities, which are much different to land-based animals. Due to the position of their eyes, they have an almost 360 degree field of vision, and unlike humans, they use both three dimensional and monocular vision. For a shark, monocular eyesight gives it a distinct hunting advantage, as it allows each eye to work independently from the other. 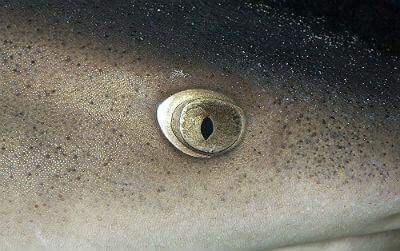 This single focus enables the shark to improve its clarity of vision prior to attack. They have a temporary membrane which covers the eyes when they attack their prey. Their underwater vision is 10 times better than a human. A shark can only see up to a distance of 15 metres. In addition, their light detecting abilities are second to none. This allows them to see in dark and cloudy waters. The kings of the sky? Being eagle-eyed is a phrase commonly used to describe very keen-sighted humans, but in reality, just how good is their eyesight? Despite being of a much smaller stature, eagles have eyes that are about the same size as a humans, underlining just how crucial eyesight is to their survival. In terms of visual acuity, they put us to shame – their eyesight is 4 to 8 times stronger than ours. This allows them to see fish in water and prey on land at hundreds of feet from their target. 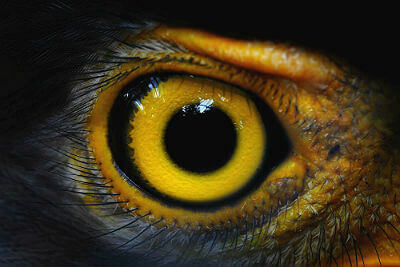 Eagles also have an eye feature that is unique to birds called a Pecten. Its main role is to nourish the retina and control pH levels inside the eye, resulting in a better environment for optimum visual performance. Another difference with human eyesight is an inner eyelid called a Nictitating Membrane. Every few seconds a translucent membrane opens and shuts, cleaning the eye of any dirt or debris, and again contributing to their amazing vision!